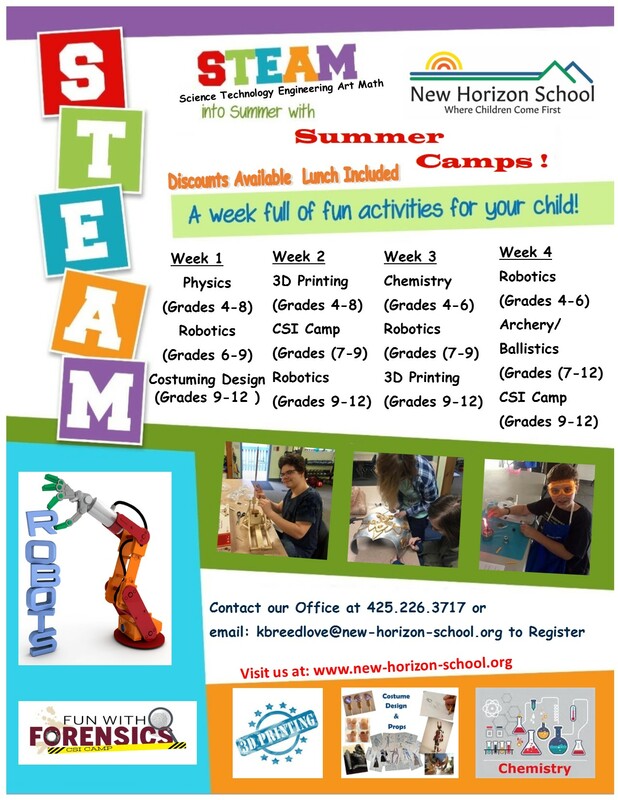 Enrollment is now open for the 2018 New Horizon School STEAM (Science, Technology, Engineering, Art, Math) Camps. Please call our office at 425-226-3717 or email our main office here to register. Registration deadline is June 30th. Camps begin the week of July 9th.